I’m up for a challenge, especially one which allows me to reflect on my learning for this year as we near the end of 2008. Paul C. of Quoteflections has set a challenge to share a top ten list for 2008. It’s a great idea because it makes you think about and evaluate your findings for the year. Now that I’ve stopped to think, I realise that this year has jet-propelled me into a whole new way of learning and connecting. In May I started my blog, slowly connecting to many other bloggers through reading and commenting. This year I have also joined, as part of my school team, the Powerful Learning Practice cohort led by Will Richardson and Sheryl Nussbaum-Beach. I’m only beginning to realise the depth and breadth of the experiences within this learning network. Links to sites that demonstrate that we are better through sharing. This site allows you to find and share historical photos of places around the world. You could discover photos of your old hometown or places you’ve been to. It’s a site that develops its archives as people share their photos. Only a few countries have been represented so far, but I’m sure the collection will grow. 2. LIFE’s photo archive on view Google. Read about it here. It’s one of the most magnificent photo archives of the past century and it’s now available on Google. It’s the Life magazine collection, some 10 million images altogether, and after the deal between Google and the keepers of the Life archive, a vast chunk is now at Google Image Search. 3. Phrasr allows you to create a visual phrase. The words in your phrase are matched with flickr images which you can choose for your picture phrase. The sharing part is the archive you can browse, and you can share your own visual phrases. Here is my blog post about Phrasr. Mentalaxis has a comprehensive list of flickr tools so that you can creatively share your photos. For example, Travelr lets you display your flickr photos geographically on a world map. As it says on the website, create beautiful presentations, access them from anywhere, and share them with the world. With 280 Slides, there’s no software to download and nothing to pay for – and when you’re done building your presentation you can share it any way you like. Capzles is a new way to combine videos, photos and mp3s into rich, multimedia storytelling. Read about it in my blog post. 7. A picture’s worth is a wonderful site where people are encouraged to write about the meaning or story behind a personal photograph. As the site says, “A Picture’s Worth” provides a haven for people to truly “show and tell”. You can read more about it in my blog post. This is not a tool or website, but I’ve included Larry’s blog because I believe people are the best source of information and sharing on the web. Larry was nominated as a finalist in the Best Resource-Sharing Blogs category of the Edublogs Awards in 2007 and again this year, and here he shares a list of education blogs that generously share resources and links. 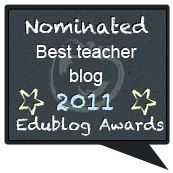 A list of resource-sharing blogs nominated for the Edublogs award 2008 is definitely worth a look. Read Clay Shirky’s transcript of this clip. 10. I wrote a post about YouTube Symphony Orchestra a little while ago. This will be the first ever collaborative online orchestra. This one tops the list for me. It’s collaborative, it’s global, it’s a celebration of talent, it’s inviting the world to make music together. Marie Salinger at Just in time; Sue Tapp at And another thing; Allanah King at Life’s not a race to be first finished; Jenny Luca at Lucacept; and Rhonda Powling at Rhondda’s reflections: wandering around the web. OMG- Tania you have made me seriously stretch my brain cells at this time of the year. It is a really interesting meme and even as I read it I am making a list in my mind. Thanks for the tag and I will do my best . Well done for such a great post!!! You can kill me later, Sue. You’ll probably have to cut back your list after thinking about it for five minutes! Wonderful Top Ten here. I will return to this post to gather all its great resources. Thanks so much for participating. If others wish to take part, please do! I will try to link everyone together in future posts. Thanks for sharing my list, and all the other resources in this post! You’re welcome, Larry. I’m voting for you!